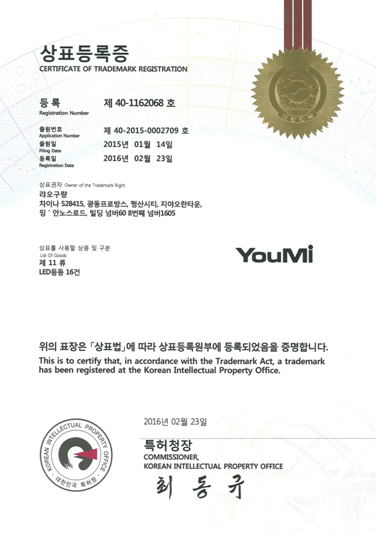 On February 23 2016, a Korean trademark agented us, was authorized successfully. Through the positive communication with foreign attorneys, the trademark was authorized. The application period of Korean trademark is 12-18 months, the protection period is 10 years. 6、The trademark expiry date is 10 years from the date of registration date. You need to apply for renewal within one year before the expiry date.